Tis true, good people of the internet. Last weekend, I went to Breinigsville, Pennsylvania for the first year of SaikouCon! Guests included: Darrel Guilbeau, Jād Saxton, Jessie Pridemore, Greg Houser, Bill Rogers, The D20 Girls, The Slants, and many more! I brought Eyes of Lightning bookmarks & Deadman Wonderland cards for autographs (’cause, as previously stated, I’m a shameless promoter). 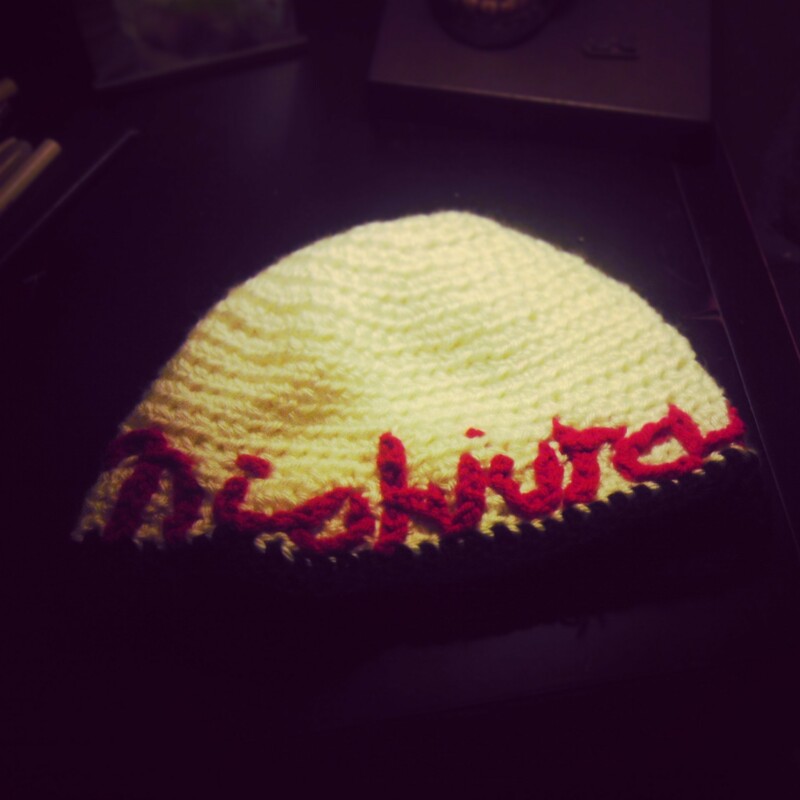 While I was signing stuff, an adorable attendee by the name of Amanda gave me a Nishiura beanie she knitted herself (Big Windup! for the win!). I don’t think I’ve ever gotten something for Windup (the first anime I ever directed). Of course, I majorly geeked out over it. How incredibly thoughtful is that? SaikouCon was the premiere of That Terrible 21 & Up Panel. What does such a panel entail? Talking about anything and everything (within reason). I was hoping for drinks to be involved, but the hotel wasn’t really a fan of that idea. Jād joined me (willingly, can you believe it?) and I took the opportunity to get to know her better. Though she and I have worked at the same studio for years, we’ve only recently started chatting and hanging out (check out her appearance on That Anime Show here). We allowed no recording or photos, so I’ll leave what we talked about up to your imagination. I love comparing notes with others in the VO industry, especially if they work at different studios. Got to do a Voice Acting panel with Jād & Darrel Guilbeau (who is all around amazing). We talked about some of our favorites (roles, scenes, stories, etc), the audition process, staying positive, and a whole slew of other things. Along with an interview, I also participated in a Lip Dub of “I Love Rock N Roll” by Joan Jett & The Blackhearts with We Rise Mag. 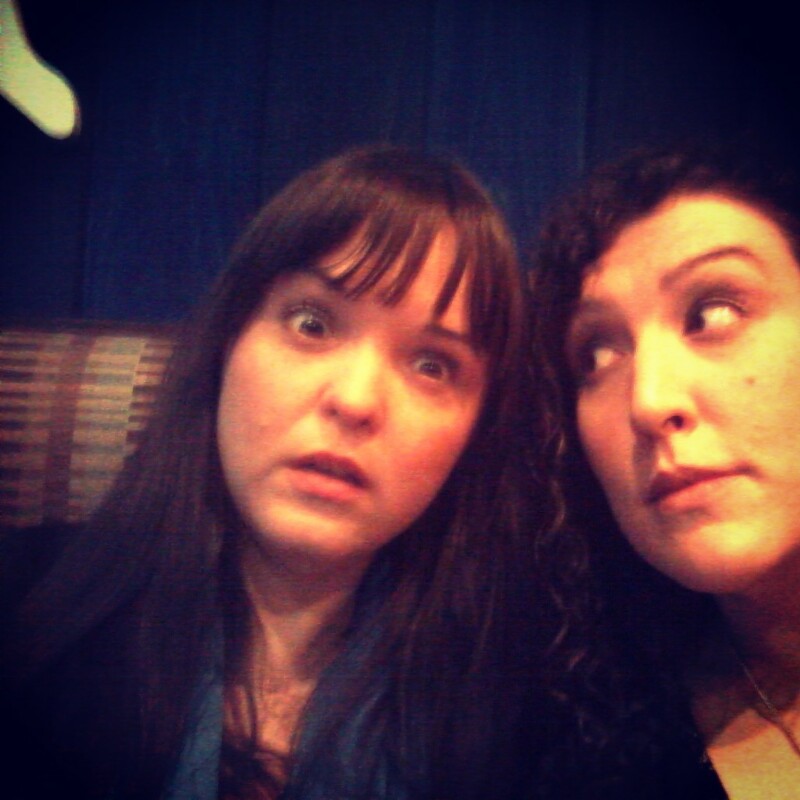 You know, ’cause there needed to be more evidence of me being a goofball (“Your honor, I present Exhibit ZZZ!”). There was some phenomenal cosplay at SaikouCon! I joined Jessie Pridemore, cosplayer/photographer, and one of the D20 Girls in judging a Cosplay Contest. The first place winner actually cried when she won for her take on Franken Stein from Soul Eater, which surprised all of us (in a good way). It was apparently one of her first costumes and she didn’t think she’d get recognition for her efforts… She was wrong. Since That Anime Show’s humble beginnings (can’t believe its almost been four years), I’ve had the fortune of knowing the guys from The Unofficial One Piece Podcast, namely Zach and Steve. Though I consider them friends, I rarely get to see them in person. 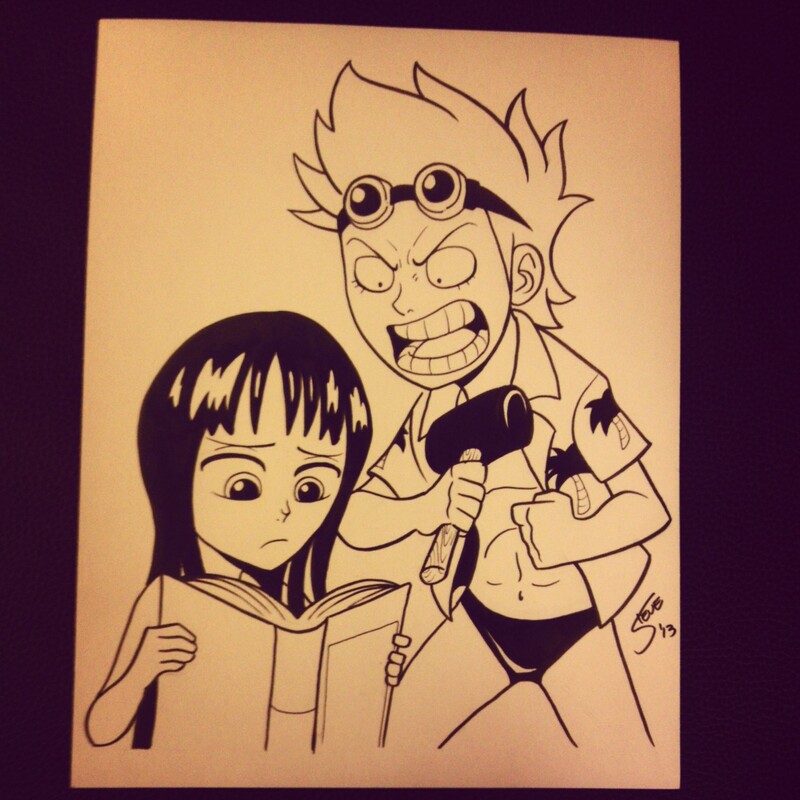 SaikouCon allowed me to spend time with Steve Yurko, artist extraordinaire/fellow podcaster. I had a blast & enjoyed getting to know him better. As Darrel, Jessie, and myself got to the airport, we noticed there was a a huge event happening. Funny how so many people flooded the surrounding area, while those flying that day had the best view of an airshow that was going on. Jessie & several other photographers (i.e. people that take photos with something called a camera, not a smartphone) took advantage of the situation. The flying spectacle totally made up for the hour and a half flight delay (yay, optimism). Big thanks to SaikouCon’s big cheese, Mike Meade! You’re a rockstar!